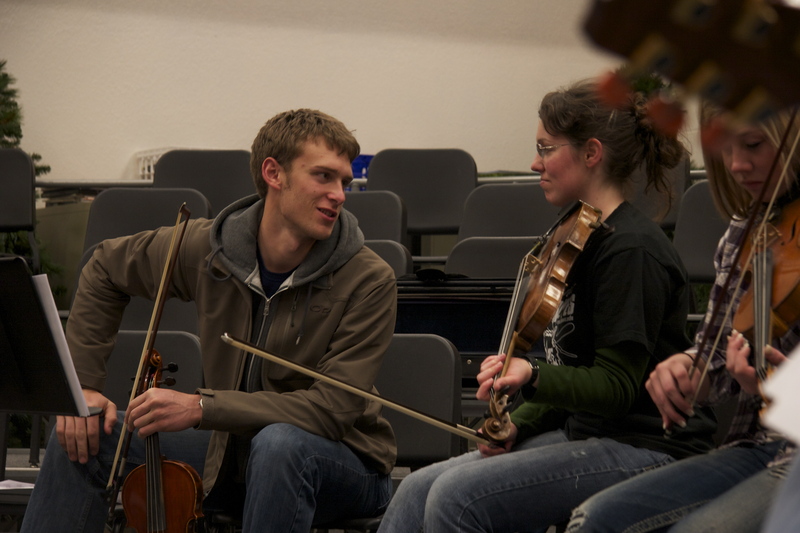 Since 1999, the Eastern Oregon University Fiddle Ensemble has offered performing and learning opportunities for credit for traditional instruments and traditional styles of playing. 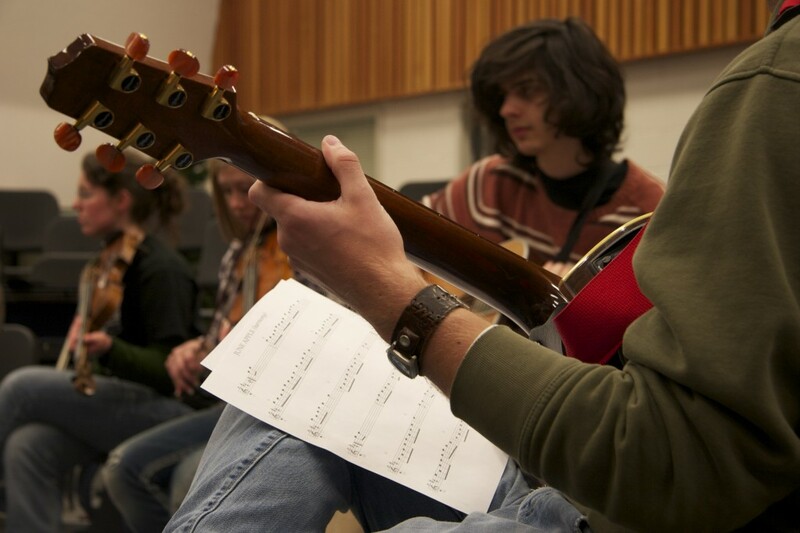 Members of the ensemble, who play fiddle, mandolin, guitar, bass, and banjo, have ranged from state and national fiddling champions to classical players just starting their study of alternative styles. Selected tunes represent old-time fiddle, Cajun, Irish, bluegrass, Texas-style, and swing. The fiddle ensemble was a featured performance ensemble at the 2003 All-Northwest MENC convention in Portland.